Dentures are a popular and time-tested option for men and women with one or many missing teeth. 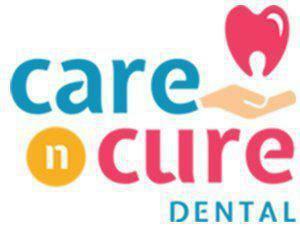 Care N Cure Dental uses the most advanced denture fitting and fabrication methods for patients in Garland, TX, offering customized solutions that feel and look more like natural teeth. Denture fittings begin with impressions that are sent to a special lab specializing in state-of-the-art dentures. The dentures will be carefully crafted using the most advanced materials for restorations that look and feel like natural teeth. Once the dentures are complete, they’ll be fitted and adjusted so they fit comfortably and securely. What’s the Difference Between a Full or Complete Denture and a Partial Denture? A full denture is a denture that’s used to replace all the upper teeth or all the lower teeth. A partial denture replaces one or, more often, a few teeth. That depends in part on whether the denture is a full denture or a partial denture and if the patient has worn dentures in the past. Partial dentures usually are easier to get used to, and people who’ve worn dentures in the past and are familiar with the way they feel usually adjust more quickly than those who’ve never worn dentures. Most people find they adjust very well within about a week of regular wear. Wearing the dentures as often as prescribed and practicing speaking aloud will help “speed up” the adjustment period, as will eating a variety of foods. My Dentures are Causing Sore Spots; What Should I Do? Dentures are designed to fit securely and comfortably. Sore spots usually occur when a denture doesn’t fit properly and rubs the gums or other soft tissues. If a partial or full denture causes sore spots or if it starts to slip frequently, it’s important to call the office and schedule an appointment right away to have the denture adjusted for a proper fit. It’s also important to see the dentist every six months to have the denture adjusted as needed and to have the gums under the denture examined to ensure they stay healthy. 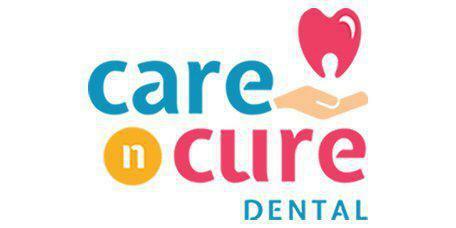 Dentures can be cared for with regular brushing with a soft-bristle brush. Special dentures soaks or a mouthwash rinse can be used to enhance freshness. When dentures aren’t being worn, they should be kept in water to prevent them from drying out.